There are a variety of reasons you may need the services of a highly-qualified cosmetic dentist; accidents of any kind can result in painful, broken, and unattractive teeth. Sometimes the damage can be so severe you simply must have the very best cosmetic dentistry in Little Rock, and Healthy Smiles can provide you with the quality cosmetic dentistry you are looking for, so call now! 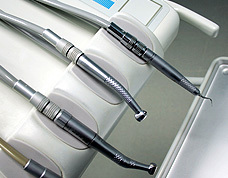 Patients who are considering sedation dentistry need to understand how simple and safe it is. The process utilizes sedatives to create a calm and relaxed state throughout the course of the dental procedure. 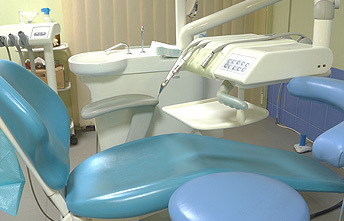 Sedation results in less anxiety and stress, and an overall more pleasant dental experience. Our Little Rock AR dentists are adept in administering sedation during dental procedures, so the risks and side effects are minimal, and the experience is painless. They are possibly the two most dreaded words in the English language; 'root canal'. I cringed just typing them. The fact of the matter is that root canals have come a long way, and there are a number of methods which can be used to make the process, and the root canal recovery period much easier. If you are looking for the most compassionate, gentle root canals Little Rock provides now is the time to stop the pain for good and call Healthy Smiles today! Remember the days of chromed-out braces and head-gear at night, all for the sake of beautiful, straight teeth? It was indeed a miserable experience which seemed to last most of your life. Now those days are gone for good, thanks to Invisalign, a teeth-straightening system which is virtually invisible, completely comfortable, and now you can take advantage of Invisalign in Little Rock by simply calling Healthy Smiles now!